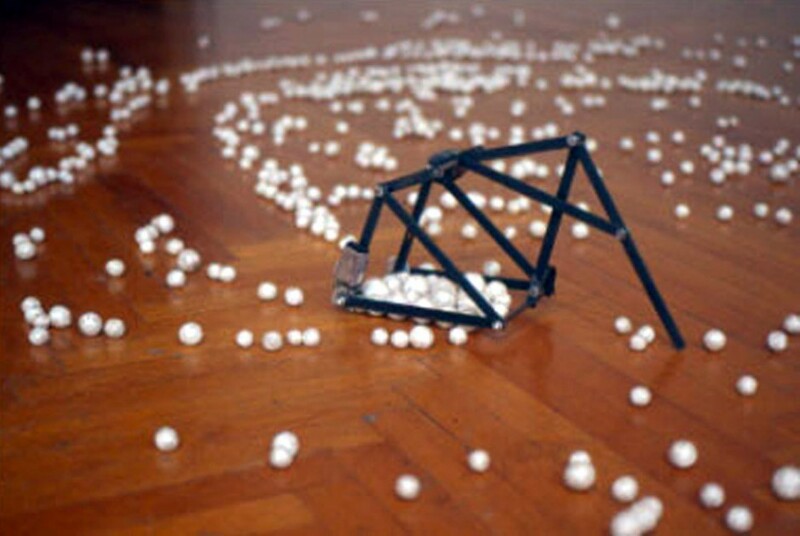 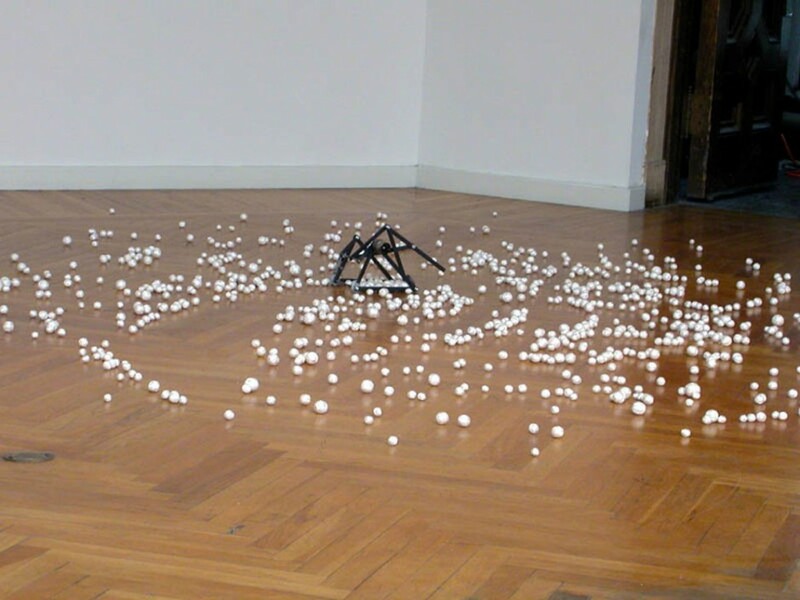 The String Ball Collector is a small machine made out of metal that travels in a circle attempting to gather hand wrapped string balls placed in a circle on the floor. 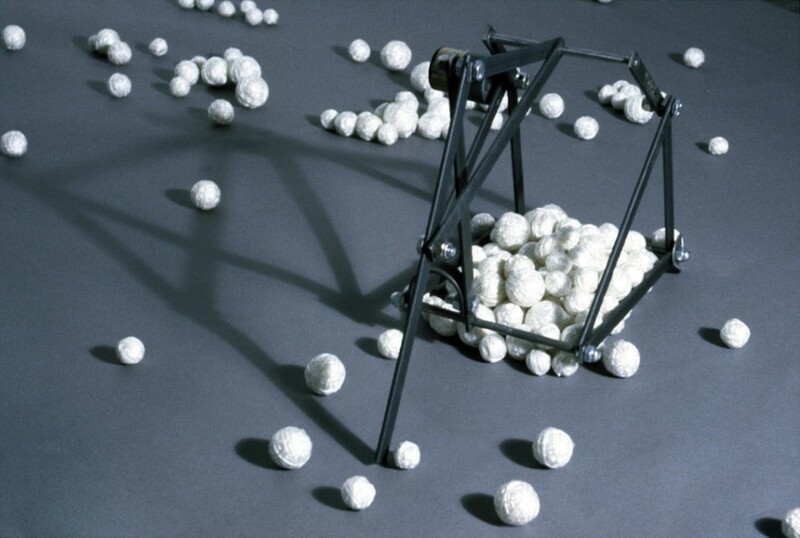 As the machine successfully picks up certain balls, others fall out. 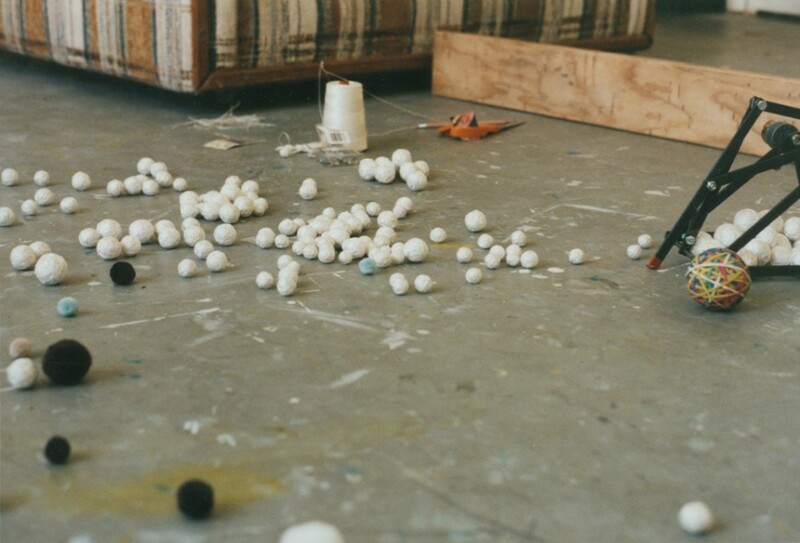 Over time, patterns begin to form marking the successes and failures of the machine and charting the path of the String Ball Collector. 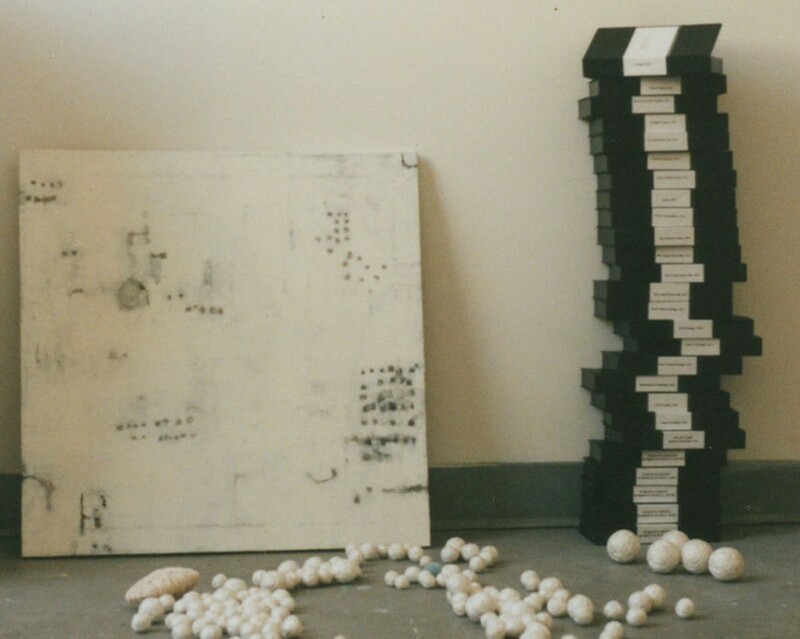 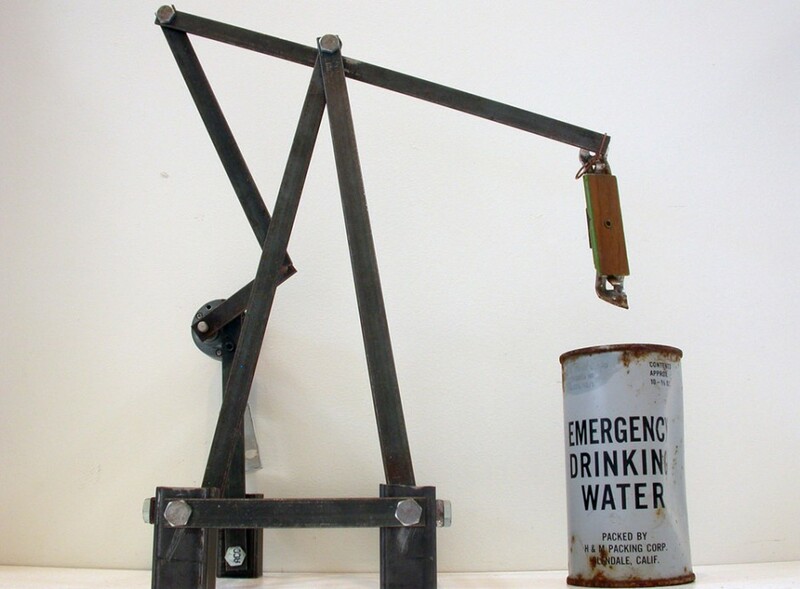 Ideas emerge about collecting, obsession, routine, expectation, and disappointment.